This place holds one special memory as my high school prom was held at the Hellenic Cultural Center. The church itself was not on the grounds at that time. I won’t go into the details, but things that changed me forever occurred at prom, so the space itself holds meaning for me. I’m personally fascinated by Greek Orthodoxy. I really only know of it historically, but would really like to experience an Orthodox service at some point. 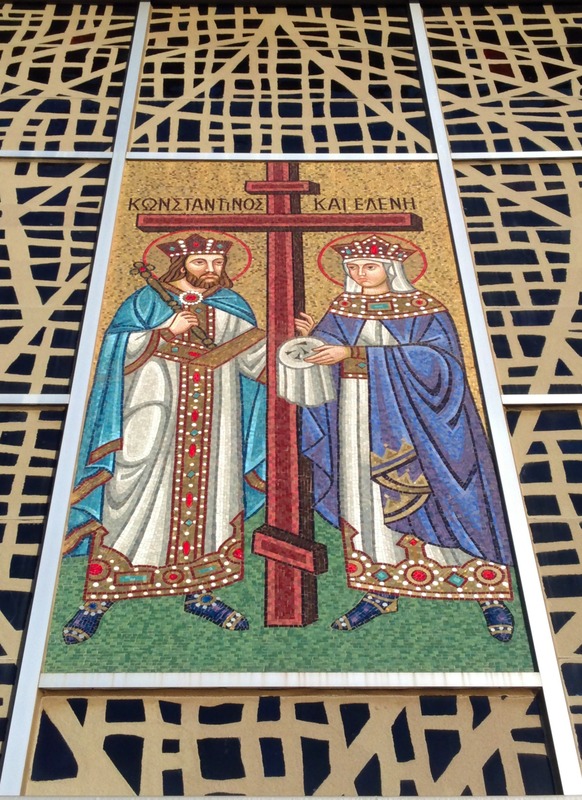 St. Constantine, or Constantine the Great, Emperor of Rome, is one of my favorite historical figures. His mother, Helen, was an important figure in Church history. 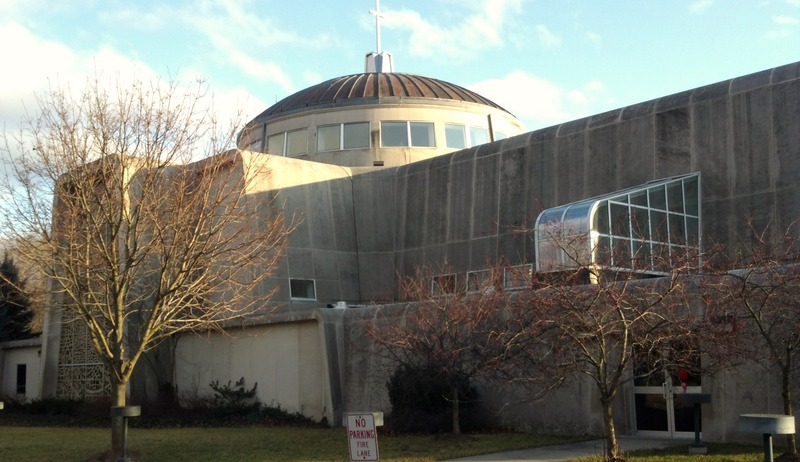 Thus, I like that this church, in name, honors them. The building itself is…oh… I’m not sure if I love it or hate it. 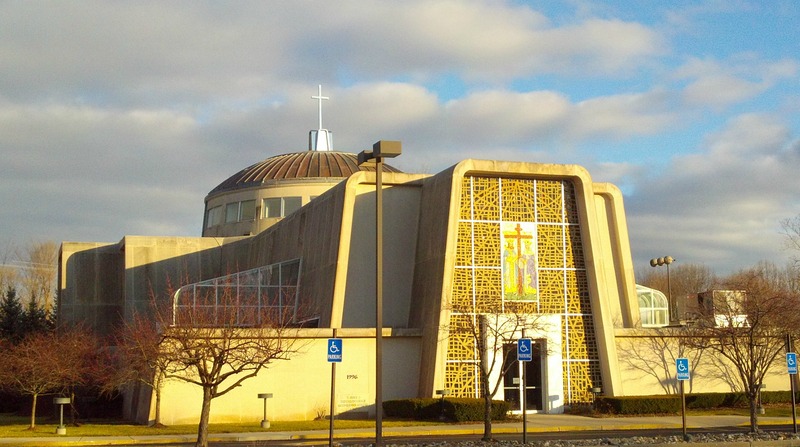 I imagine that if George Lucas had somehow built Orthodox Christianity into his Star Wars stories, the churches on whatever planet would look like this one. It reminds me of the architecture on the planet Tatooine. Decide for yourself whether you like it or not. The church’s history is nicely laid out on its website. 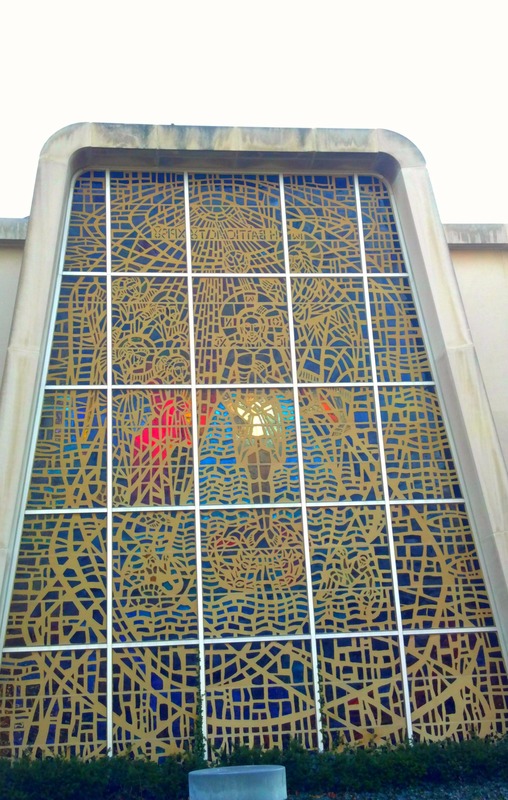 Normally, when I re-post histories on this blog, I take the bits about the congregation itself. In this instance, though, I like the “prologue,” which paints a picture of the Greek immigrants who first began settling in the USA 100 plus years ago. 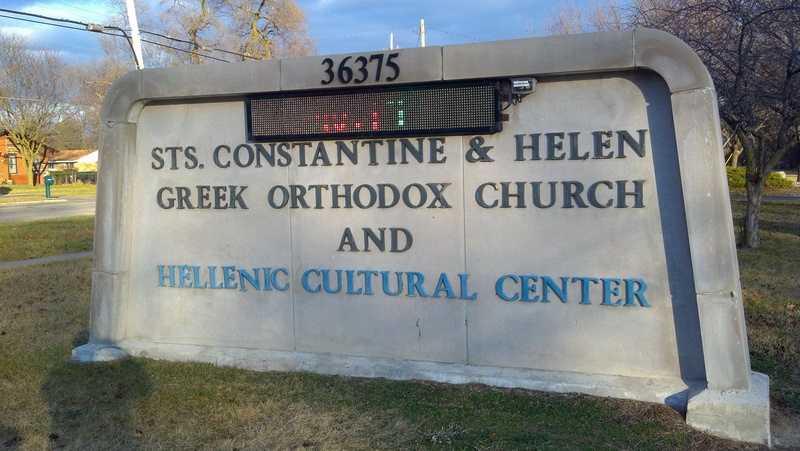 The story of the Greek Community of Detroit is essentially the story of Hellenism in America. It was in the early nineties that the promise of America began to attract the younger men, first from the villages around Sparta and the uplands of Arcadia, then from the remaining villages of the then tiny Greece, and finally from the other Greek lands still under foreign rule. A cross-section of Hellenism gradually formed in many American cities, very much like Detroit, whose Greek Community in 1892 numbered about one hundred young men under thirty. To better understand the life and work of these immigrants, we should know what manner of men they were. They grew up in villages where life, despite the turmoil and upheaval of the centuries, continued much as it did in the days of Homer. Tilling the soil and tending the flocks brought them a meager living, however abundant the sweat of their brow. They were passionately attached to home, family, Church and village. Deeply imbued with the “Greek Spirit,” they loved the sunbathed land and the unique beauty of every living thing in it; the legendary folklore combined with the grandeur that was Golden Greece; and life itself in the festive religious holidays, the folk songs and the dances. These young men arrived in America with only the treasures of their heritage and the spirit of their race in their hearts. Many could barely read or write and very few had studied beyond the village school. They had no knowledge of English or of the way of life in the new world. Consequently, they were at the very bottom of the social and economic ladder. For us today, it is difficult to visualize the long climb from those beginning days of the menial laborers, through the days of the roving vendors’ “trade,” to the days of factory workers. But they felt a deep spiritual need, too. In the early 1900’s, they traveled many miles (from as far away as Ohio) to the “Evangelismos” Church in Detroit. This inner need led them on to expand and to found communities such as Sts. 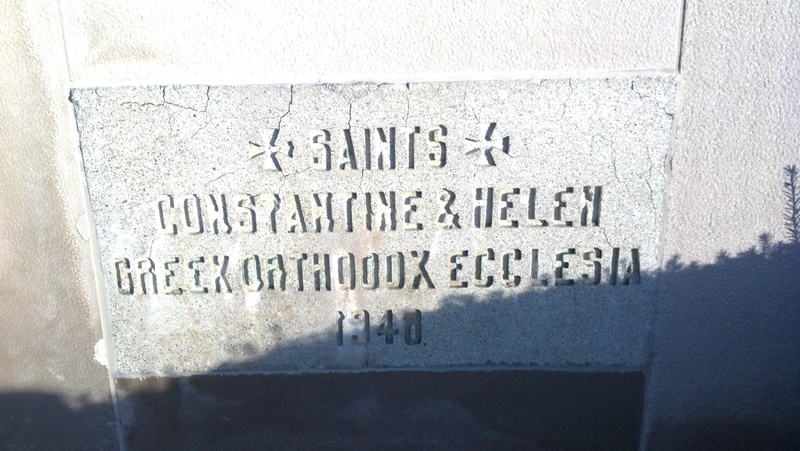 Constantine and Helen. However humble its beginnings, what follows here is the Liturgy of the struggles that brought this Community to its day of Consecration. Have you been to the Church recently? You should talk to Father Teodor about our Faith. It is rich in Tradition of the early Church. And the Divine Liturgy is totally scriptual. Icons are windows to heaven and each tells us a story of the Saint who is pictured. We reverance those whom the icons represent, as one looks to pictures of loved ones. We do not worship them. Worship is for God alone. I would really love to visit. It’s nice and close to home. I’ve always been curious about the Orthodox mass. Come and visit. Talk with our Priest, Father Teodor. He is in the rectory daily, just ring the bell. Come let us worship and now down before Christ.